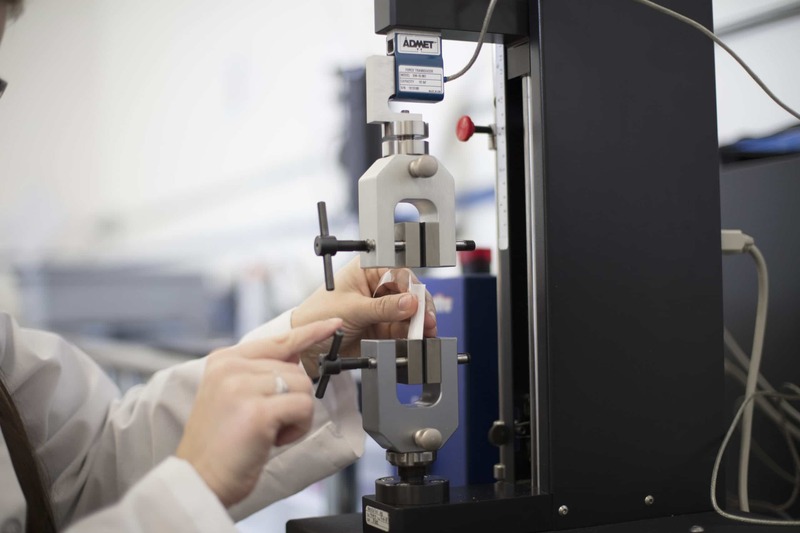 Peel testing is performed by cutting a 1-inch strip on the seal of a sterile packaging system. This test is used throughout the life cycle of a packaging system. First, it establishes a baseline value of your sealing characteristics. Second, as you are completing validations, it serves as a checkpoint of how a seal will perform after sterilization, transit or aging. Finally, it serves as a quantifiable monitoring tool for in-process testing that demonstrates your manufacturing performance over time.